Gry Sofie Shetelig, a grand niece of Queen Sonja of Norway, was married to Joakim Jensen Fuglerud at Frogner kirke (church), Oslo, last Saturday, 25 September 2010. Queen Sonja, Crown Prince Haakon and Princess Märtha Louise attended the ceremony. The bride was escorted to the altar by her brother, Kaare Andreas Shetelig, who works as a lawyer at Riksadvokaten (the Office of Public Prosecutions). Kaare's son Harald Fredrik was a page boy, while the bride's first cousin Dagny Carina Swanström read the scriptures. Vicar Paul Nome conducted the service. Gry Shetelig, b. 1980, is the granddaughter of the late Gry Henriksen, née Haraldsen (1924-1970), an elder sister of Queen Sonja. 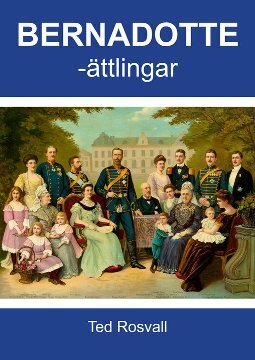 The Queen's sister was first married to the Swedish-born engineer Rune V. Swanström (1917-1967) and had two children by him - Ian, who is Gry Shetelig's mother, and Dag Swanstrøm. After the divorce from Rune V. Swanström, Gry got married to Gunnar Henriksen (1922-2002). They also had two children together. 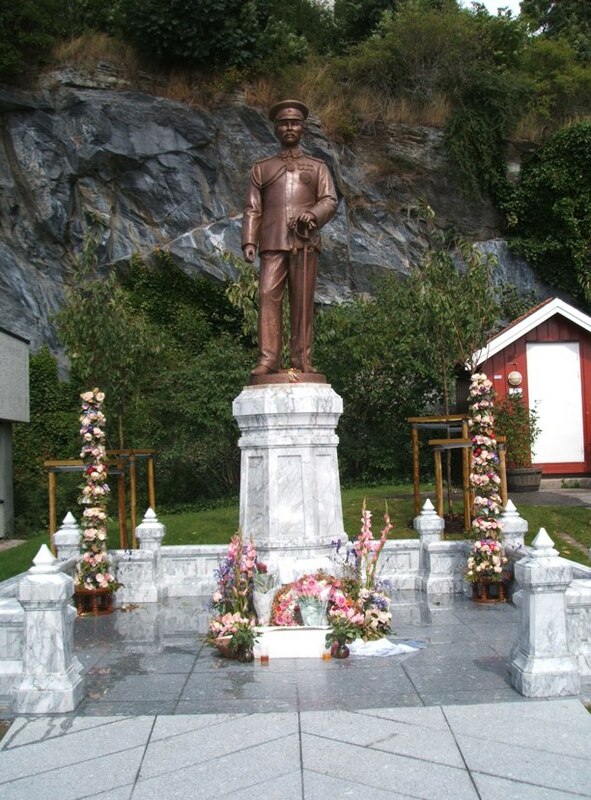 Kaare Andreas Shetelig (b. 1976), m. 2006 Marte Brunvoll (b. 1978); and Gry Sofie Shetelig (b. 1980), m. 2010 Joakim Jensen Fuglerud (b. 1981). The Swanström family grave at Kvibergs kyrkogård, grave no. 003-00036. The photo was taken during a visit to the cemetery in August 2008. 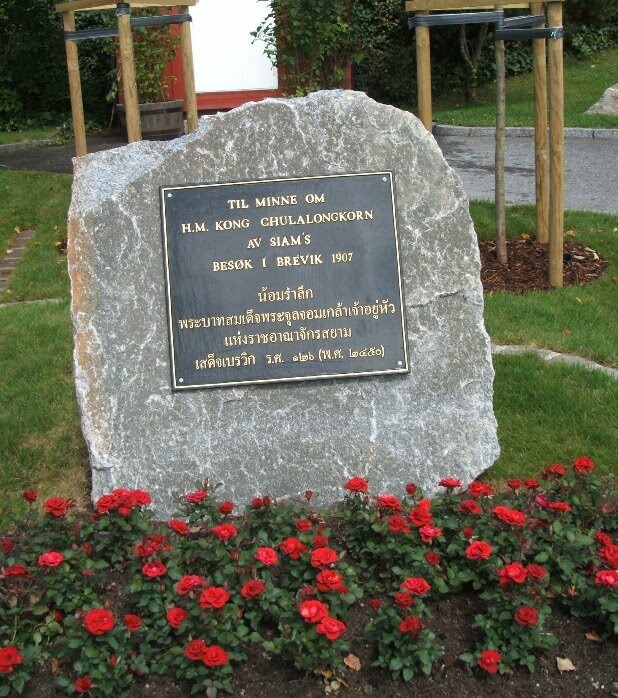 Gry Shetelig's grandfather Rune Valdemar Swanström is interred at Kvibergs kyrkogård (cemetery) in Gothenburg. 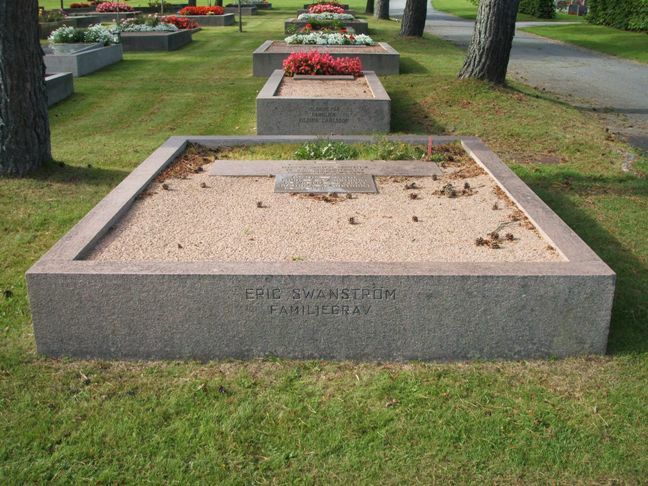 Interred in the same grave is also his mother Nanny, while his father Eric Swanström seems to have been buried somewhere else, as although the inscription at the front says "Eric Swanström Familjegrav", his previously inscribed name above the name of his first wife has been deleted. He married for the second time in 1954 Dagmar Elinora Stedfeldt (1901-1976), who is interred at Västra kyrkogården, Gothenburg. Updated on Friday 1 October 2010 at 0805 (typo corrected); 11 May 2011 (photo replaced by an identical photo, with different document name). Yet another article in Views and News from Norway (16 September 2010): Princess and her husband draw flak. Updated on Friday 17 September 2010 at 0900 (typo corrected). Schwäbische Zeitung reported today, 16 September 2010, that Prince Friedrich Wilhelm, head of the House of Hohenzollern(-Sigmaringen), had died earlier the same day, 86 years old. The headship has been inherited by his eldest son, Prince Karl Friedrich, b. 1952. Prince Friedrich Wilhelm Ferdinand Joseph Maria Manuel Georg Meinrad Fidelis Benedikt Michael Hubert, who according to the Genealogisches Handbuch des Adels was "Fürst von Hohenzollern, Burggraf von Nürnberg, Graf zu Sigmaringen u. Veringen, Graf zu Berg, Herr zu Haigerloch u. Wehstein usw. ", was born at Umkirch Palace on 3 February 1924 as the eldest son of Prince Friedrich of Hohenzollern (1891-1965) and Princess Margarete, née Princess of Saxony (1900-1962). The prince married in 1951 Princess Margarita of Leiningen (1932-1996), daughter of Prince Karl of Leiningen (1898-1946) and Princess Marie, née Grand Princess of Russia (1907-1951), and had 3 sons by her - Karl Friedrich, Albrecht and Ferdinand, as well as 9 grandchildren. Prince Friedrich Wilhelm was for many years in charge of Unternehmensgruppe Fürst von Hohenzollern, a large business enterprise which is among others involved in construction and carpentry, forestry, tourism and investment. The enterprise has 3000 employees and an annual turnover of 600 Million Euros. The funeral service will take place in Hedinger Kirche (Church) in Sigmaringen on Thursday 23 September followed by interment in the family crypt. A condolence protocol will be available at Sigmaringen Palace on Monday 20th and Tuesday 21st of September. Crown Prince Haakon and Crown Princess Mette-Marit attended a youth conference in Drammen today. The Crown Prince surprised the audience and the media by indirectly commenting on his sister Princess Märtha Louise' last media performances, telling how caring and genuinely concerned she was with taking care of other people. Of course. Has anyone doubted this? He added, though, in Views and News from Norway's translation, that "I won't go into more details about that, because you know what I am talking about." He later added that he and his sister "look different on things" and had somewhat different views (VG Nett 15 September 2010). Once again the Crown Prince gives comments to the media without really saying anything at all. Princess Märtha Louise had a press conference today, and of course she claimed that her comments to Stavanger Aftenblad (6 September 2010) about contacts with the dead were taken out of context and accused the press of bullying. Yes, it happens quite often that people are misquoted in the media, but still she should have learnt by now to think twice before speaking. She can't be surprised that her rather controversial activities are creating such an interest. Her beliefs have become more and more problematic constitutionally speaking, due to her position as 4th in line of succession to the Norwegian throne. But as we have seen many times before, the storm will blow itself out eventually, and most likely nothing will come out of it. It will not be the last time we hear about the "angel school" circus, though. The angel school circus continues, part I. Their Royal Highnesses Crown Prince Alexander and Crown Princess Katherine of Serbia will celebrate their 25th wedding anniversary on 21 September 2010. They were married in London on 21 September 1985. In connection with the upcoming anniversary the couple has given an interview to the magazine Gloria. 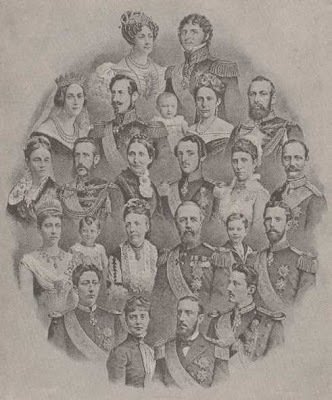 The interview, which in English translation is titled "All the secrets of our marriage", was published at the Official Website of the Serbian Monarchy on 13 September 2010. The original interview can be found here. In advance I would like to wish the happy couple all the best for their big day! A recent poll shows that as many as 30.7 % thinks Princess Märtha Louise should give up her title because of her commercial activities, which includes her angel school and her work with "cultural dissemination/mediation". Author Tor Bomann-Larsen on the other hand thinks that the debate should focus on the princess' place in the line of succession, cf. his comments to VG Nett yesterday. Princess Märtha Louise is expected to answer questions from the press later today. Updated on Wednesday 15 september 2010 at 18.00 (silly spelling mistake corrected), last time on Friday 17 September 2010 at 0900 (typo corrected). Ian Donald Cameron, father of Prime Minister David Cameron and a descendant of King William IV, died on 7 September 2010, 77 years old. His obituary was published in The Daily Telegraph on 8 September 2010. This bronze elephant statue is placed outside the National Museum in Jakarta, Indonesia, and was a gift from King Chulalongkorn of Siam in 1871. Photo (scanned) taken in 2004. The bronze elephant statue placed outside the Parliament House was given to the Government of Singapore by King Chulalongkorn soon after his visit to Singapore in 1871. The statue was earlier placed in front of the Victoria Memorial Hall. 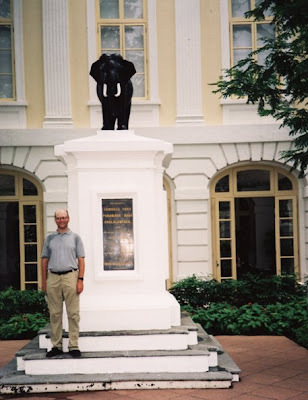 Photo (scanned) taken in 2004 (by Harald Lislevand). I bought my first (and still present) digital pocket camera in Singapore, but obviously after the photo presented above was taken. 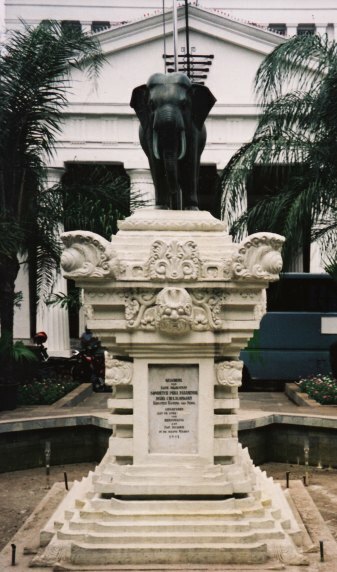 King Chulalongkorn (Rama V) of Siam visited Indonesia and Singapore in 1871 and as a token of his gratitude he gave each country a bronze elephant statue. The king toured Europe in 1897 and again in 1907, and on the last trip he visited among others Denmark and Norway. 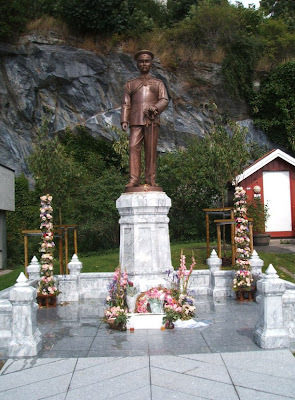 I don't think that the king left behind an elephant statue in Norway, but did he give similar statues to any other European countries he visited? Please leave behind a comment or send me an e-mail if you have any information on the matter! In early August 2010 I made a short stop in the locality of Brevik in Porsgrunn municipality (county of Telemark) to see the new King Chulalongkorn of Siam statue, which had been officially unveiled by his great-great grandchild Princess Soamsawali of Thailand on Saturday 31 July 2010. 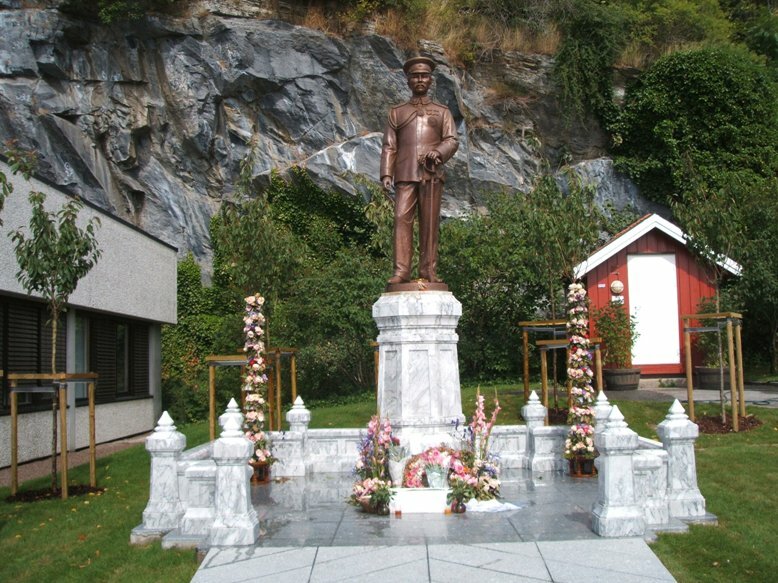 The statue was initiated by Brevik Historielag (Brevik Historical Society) and The Royal Thai Embassy to Oslo in memory of King Chulalongkorn's visit to Brevik in 1907.